Spring is coming, that time of year when the air is especially full of change. Why not embrace some change in your world. 5 On A Friday : Is Today Your Lucky Day ? Is Friday The Thirteenth your lucky day ? 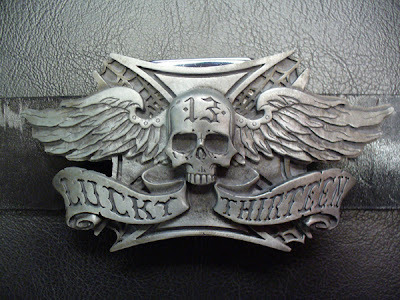 Maybe you just need this lucky 13 belt buckle to turn it all around for you. Or maybe not. Here’s 5 luck filled songs to soundtrack your day. Buy Is This It ?